Hey everyone recently I won a few products from The Body Shop on spicedbeauty.com and I wanted to share with you guys what I won and my quick thoughts on the products I got. 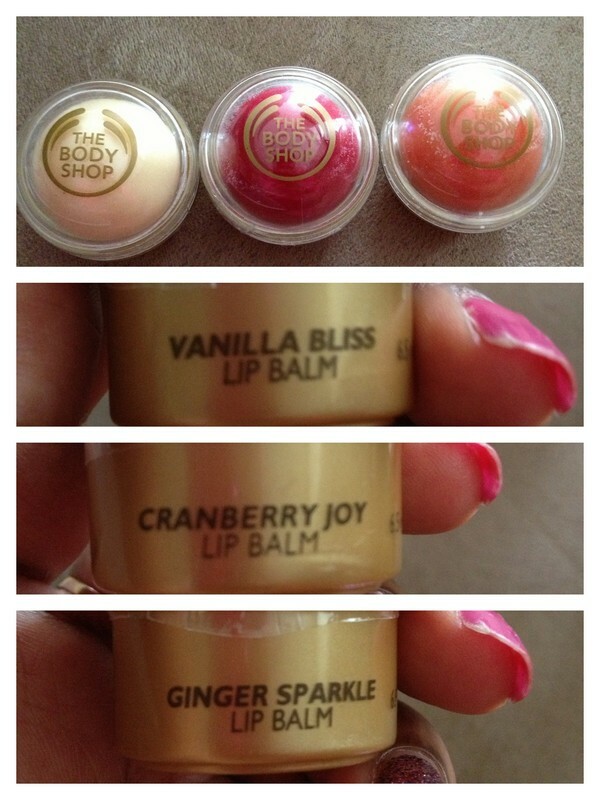 The Body Shop Lip Balms in Vanilla Bliss, Cranberry Joy and Ginger Sparkle. I kept Vanilla Bliss and I gave the other two to my mother and cousin. I been using this lip balm non stop and taking it with me when I go out which pretty much if you can't tell that means I have been loving this stuff. Keeps my lips from getting dry I like wearing this at night and during the day because there is a little shimmer in the lip balm which make it perfect for wearing out if your the type of person that doesn't like wearing coloured lip gloss or if your not a lipstick person. 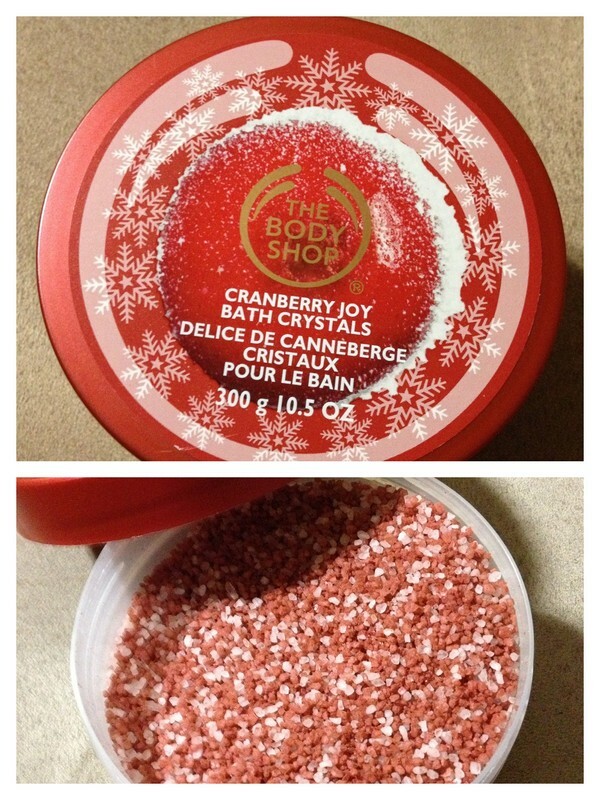 The Body Shop Cranberry Joy Bath Crystals, I don't take baths anymore so I don't have any use for bath crystals so I will most likely give this away to someone. 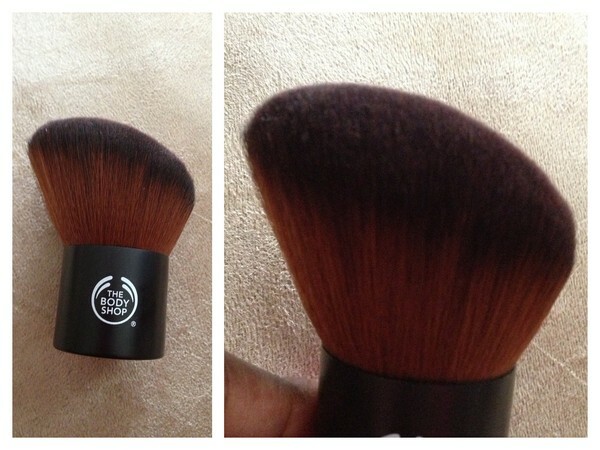 The Body Shop Slanted Kabuki I haven't used this yet but it's super soft. The Body Shop Ginger Sparkle Body Butter, I got two lotion so I'm going to keep one and I'm going to give one away to someone because I have a lot of lotion already that I need to finish. But I have tried other body butters from The Body Shop and they are really good. 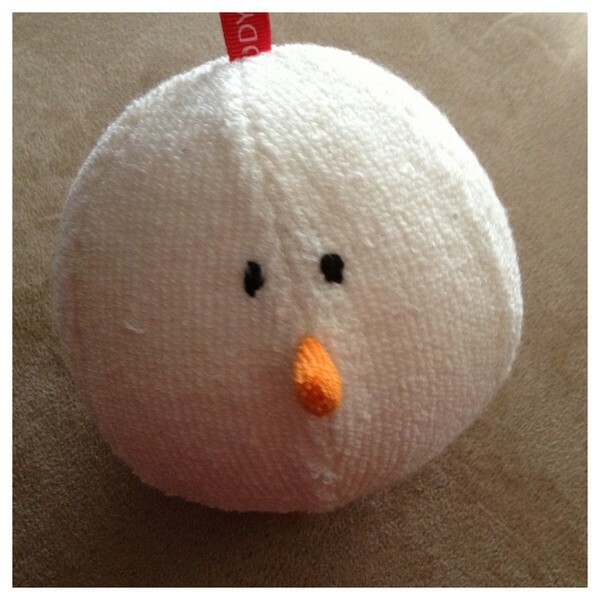 I got this snowman loofa which is so cute! 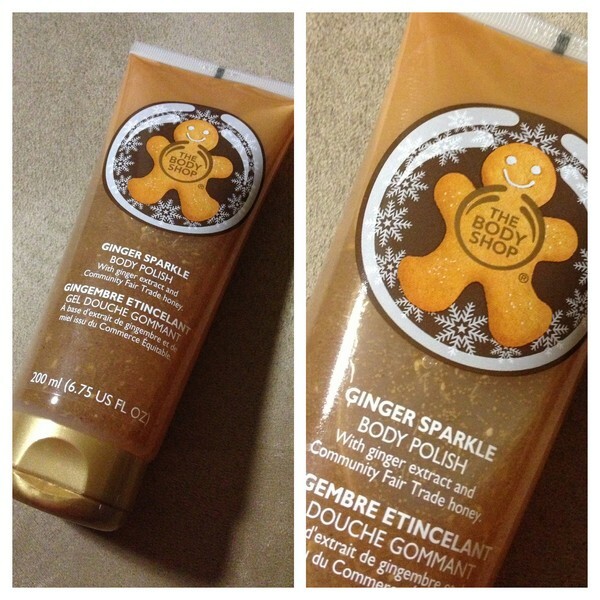 The Body Shop Ginger Sparkle Body Polish, I wasn't to sure about this when I first go this, I didn't even know what body polish was. I was so confused and I was like is this lotion or shower gel lol I had no clue. I tried this a few times in the shower and honestly when I use this I feel like I'm at a spa I like the ginger extracts that are in this it feel so good on your body and smells so good as well. 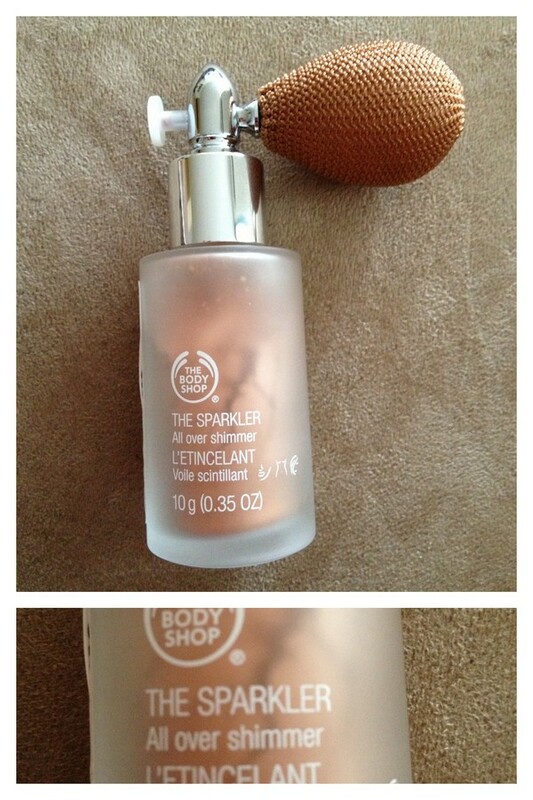 The Body Shop The Sparkle in 01 Golden Copper, I love the bottle that this comes in it so fancy. This is a body and face shimmer it spays out like a perfume but its a powder. Also from what I've seen on line I do believe this also comes in another shade. I haven't really tried this out yet but I did try spray just a bit on my arm to sample it and I it sprays out even and gives a nice shimmer not over powering. 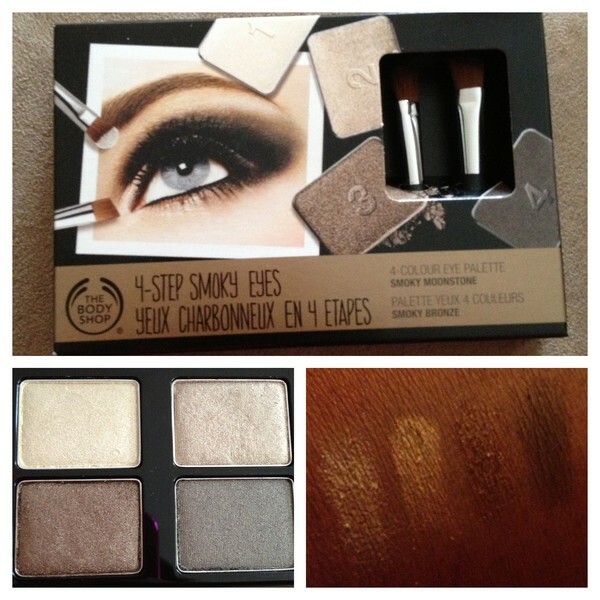 The Body Shop 4-step Smoky Eyes I can't really say anything really about this because I have not tried this palette yet. However it comes with two travel size brushes one is a flat brush and the other is a liner brush. 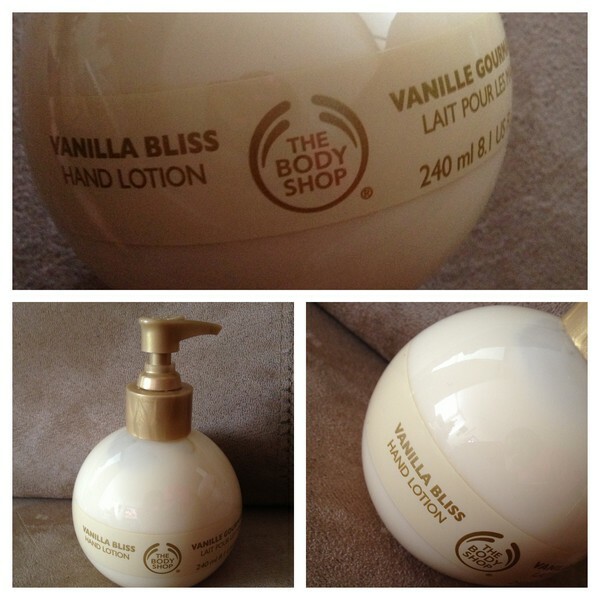 The Body Shop Vanilla Bliss Hand Lotion this smells just as good as the vanilla bliss balm. Haven't used this because I do need to finish other lotions that I have before I open this up. However this lotion has a pump were you can turn it to the left to close it and to the right to open it which would make this handy if your want to take this on vacation. The Body Shop Dazzling Rocks Shade 01 Golden Copper, I have been wanting to try a product like this for the longest time. I have been using this since I got it and this give off a nice shimmer to your face you can also use this on your body, also comes with a sponge that protects the rocks from breaking. Have you tried any products from The Body Shop? 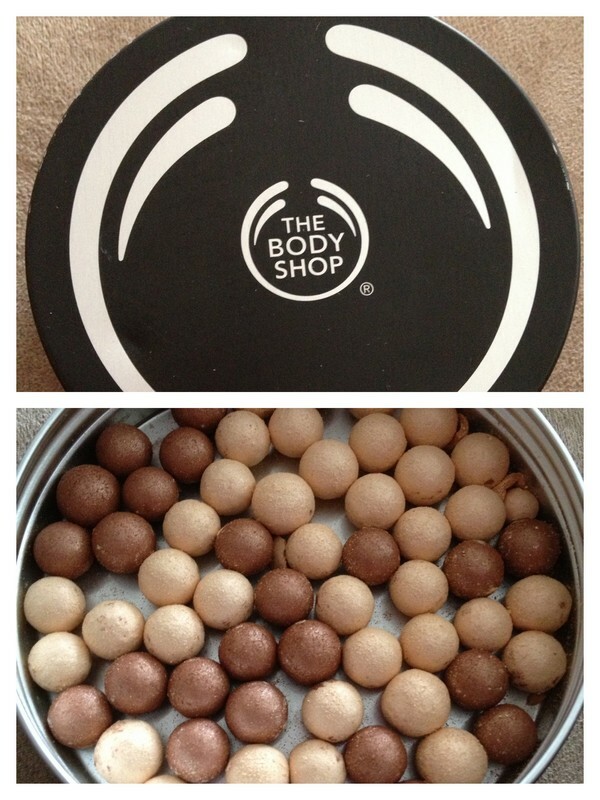 Congrats on winning,love ur goodies, body shop products are amazing! AWWWW GIRL I'm so jealous of that prize! Congrats, it's amazing! 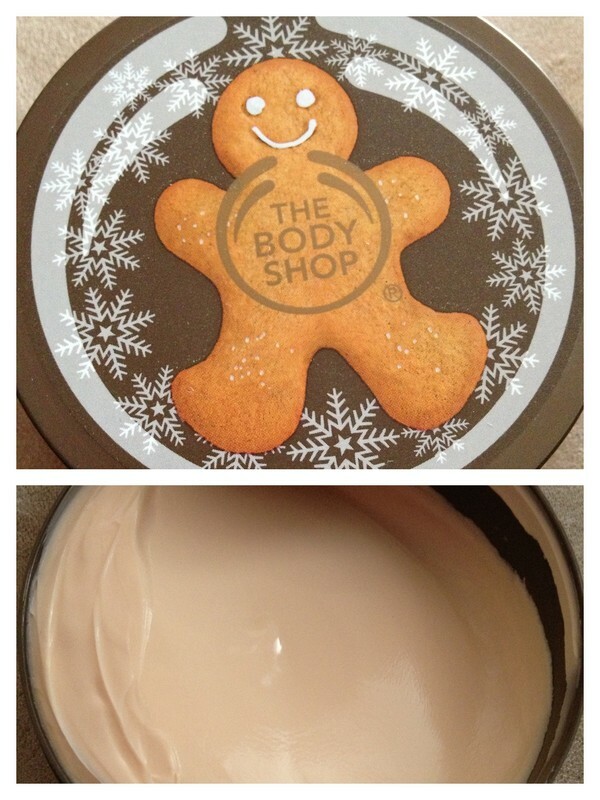 I really want to smell that Ginger Sparkle Body Butter! I don't really remember what it smells like but I gave it to my friend and she loves it. I think The Body Shop might still have it at some store, as one of my friends recently saw it. Soo many good things in this post! The Body Shop always has great stuff can't wait to see more!! I just found your blog through the Monday blog hop by the way, so you have a new follower!